The Baltimore County Department of Public Works has reported a sanitary sewer overflow near the Nottingham area. Approximately 20,500 gallons of sewage was leaked at Glendale Park, located west of Loch Raven Boulevard and south of Taylor Avenue (21239). The release was discovered at approximately 8:30 p.m. on Saturday, September 29, and was stopped 5:00 p.m. on Sunday, September 30. The overflow was suspected on Saturday evening in an area of thick vegetation. County utility crews surveyed the park and discovered that a manhole had been damaged by a falling tree which was directly responsible for the overflow of a sixteen-inch diameter sewer line. County crews then established a pump around and the release was stopped by 5:00 p.m. on Sunday. The release went into a tributary of Herring Run. 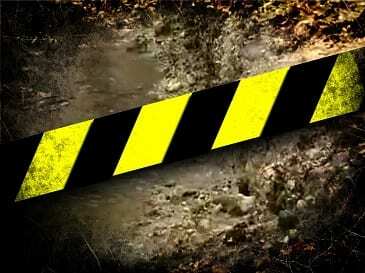 As a precaution, officials say contact with the waters of the Herring Run should be avoided.